Very Majestic!!!! What little kid wouldn’t want this as a gift!!! 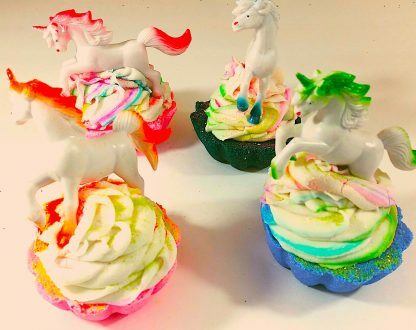 Add a little magnificence to your bath with this Unicorn cupcake bath bomb. First of all, what little girl wouldn’t want this adorable gift!!! 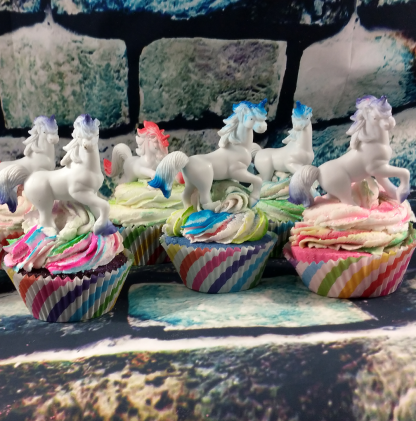 Description: The Unicorn Cupcake Bath Bomb comes in different fragrances and is topped with a colorful unicorn decoration. 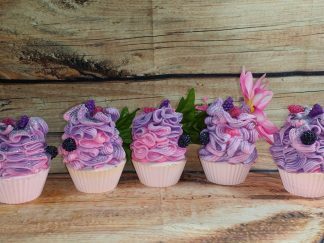 The base of the cupcake has a fragrant effervescent fizzy which softens bath water for moisturized skin while the cupcake’s “frosting” dissolves at a slower pace and great to use as a scrub! Comes in a variety of colors. Choose the Scent! Children should use only with adult supervision. 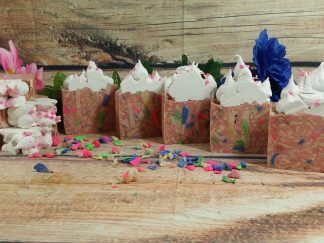 About: Every batch is created at The House of Lynn and each bath bomb comes individually wrapped and labeled. 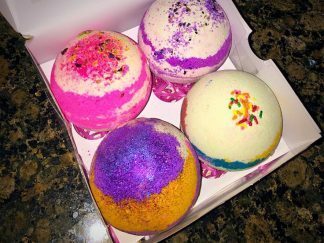 Weight: This listing is for a single bath bomb fizzy – Total Net weight approximately 7 oz (198 grams). Bath Bombs are individually hand molded so actual weight may vary slightly. Please note this product contains powdered egg whites. Cruelty-free, phthalate free, paraben free, gluten free and non-GMO. Store the Unicorn Cupcake bath bomb in a cool, dry, ventilated area until ready for use. 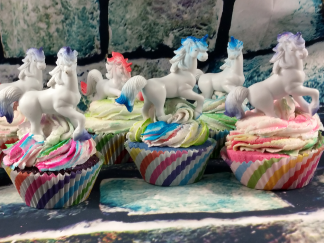 To use: Open and remove the outer wrapper from your unicorn to play within a warm tub of water. Simply remove the wrapper and drop in the tub. Above all: Do not swallow bath water. Likewise, these are not for consumption. Exercise caution when exiting your tub as oils can make it slippery. Additionally, if you are unsure or think you may probably be allergic to an ingredient, certainly perform an allergy patch test. Suggested only because there are individuals that are allergic to even the most common ingredients. Due to this fact, we suggest the skin test. Want to see what additional items we have for Little Girls??? Check it out here!!! 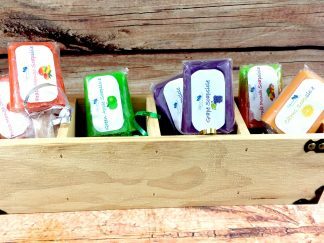 Interested in trying Lynns Bath Boutique’s Soap? Review the below useful information!!! Most noteworthy, one of the many benefits of cold processed soap is having complete control of ingredients. Therefore we choose what products we want to utilize. First of all no use of harsh chemicals. Solid soaps are made from sodium hydroxide. Furthermore, some products are infused with melt and pour soap base (MP). MP: a pre-made soap base. Want to inquire about a product or service? Just comment or send an email!!! Inform what fragrance you are inquiring about. Love every minute of the skin cleansing experience.